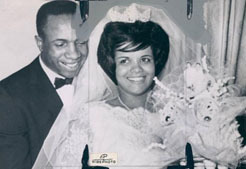 View information about Frank Robinson's death here on famously-dead.com. 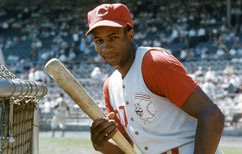 You can view information about Frank Robinson's death and other famous deaths. You can view by name or by cause of death. We also have included the most popular famous deaths. He was an historic figure in baseball history and his groundbreaking, pioneering move often overshadows the fact that he was one of the very best players of his day. 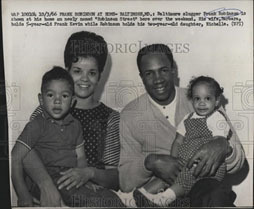 Frank Robinson was born in Beaumont, Texas - the baby in a family of ten children born to his father Frank Sr. and the former Ruth Shaw. But his parents divorced when Frank was an infant and his mom moved her family to Alameda, California and then to nearby Oakland. He went to McClymond’s high school and had some soon-to-be famous friends among his high school teammates there…including Vada Pinson and Curt Flood in baseball and the legendary Bill Russell in basketball. …setting the league on fire with the then record of 38 home runs and being named Rookie of the Year. Robinson had his shares of scrapes in on-the-field brawls, and crowded home plate, daring pitchers to throw at him. And he received death threats from the public. After a series of these threats, Frank started to carry a gun. Following a 1961 altercation with a restaurant worker who wouldn’t serve him in which Frank brandished his weapon, Robinson was arrested. That incident soured his relationship with the Reds’ front office, and to their future chagrin, in the winter of 1965/66 they traded him to the Baltimore Orioles in one of the most lopsided and dumbest trades in baseball history. 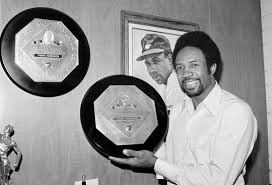 Robinson won the Triple Crown that year, leading the American League in all three key offensive categories: Batting Average, Home Runs and Runs Batted In. He even became the first and only player to slug a ball completely out of the Orioles’ home ballpark, Memorial Stadium, on May 8, 1966. He led the Orioles to the 1966 pennant and a World Series sweep of the Los Angeles Dodgers and was named World Series MVP. More importantly, Frank was awarded the 1966 Most Valuable Player in the American League. To date he is the only player to a big named MVP in both leagues. He also won the Hickok Belt for the top pro athlete in any sport in 1966. 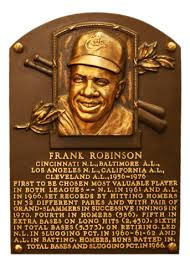 Remember too that in his time of the National League, Robinson was one of a group of other famous All-Star outfielders like Willie Mays Hank Aaron and Roberto Clemente - all baseball legends themselves. 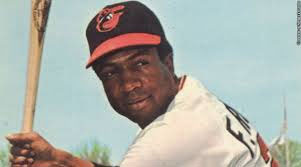 As a player, Frank went from the Orioles to the Los Angeles Dodgers to the California Angels and eventually to the Cleveland Indians, where his truly groundbreaking moment came when he was named the first black manager in the major leagues. …and as a player manager in his first at bat, he hit a home run - typical of his flair for the dramatic. Frank hit 586 home runs in his major league career. 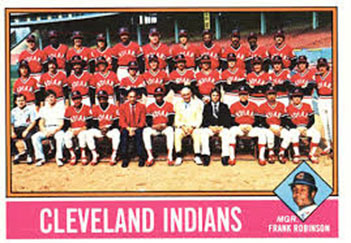 And Frank’s managerial skills were also put to the test, as he went on to later manage the San Francisco Giants, the Orioles and the Montreal Expos/Washington Nationals after his tenure with the Indians. …elected the same year as Hank Aaron. 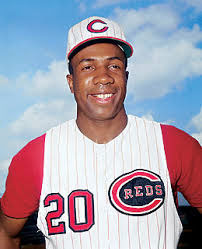 Robinson also has a place in the Halls of Fame of the Reds, Orioles and Indians, is in the Nationals’ Ring of Honor and the Reds, Orioles and Indians all retired his number 20. …and they had a son and a daughter. He became active in the Civil Rights Movement and spoke about discriminatory real estate practices and segregated housing. 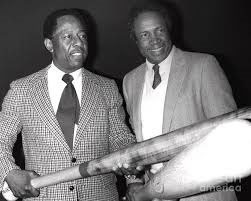 Frank Robinson was diagnosed with bone cancer and died of this disease at the age of 83 in Los Angeles.